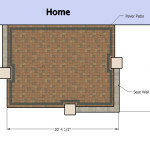 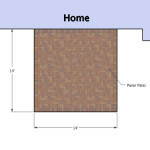 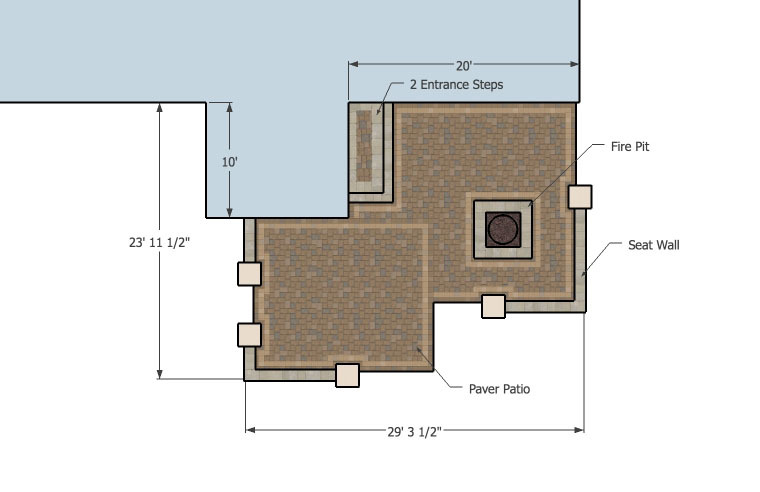 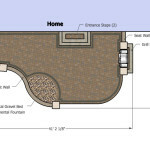 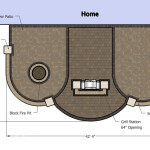 This 438 square foot patio is designed for houses with a backroom extending into the yard. 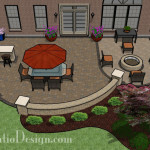 The seating walls provide privacy and extra seats, and the entrance steps allow for easy entry into the house. 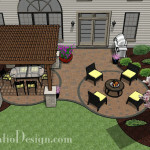 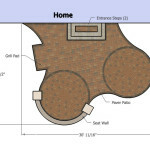 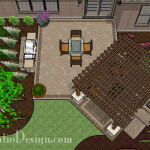 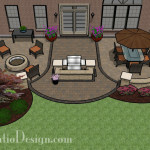 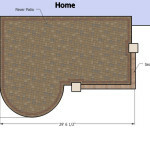 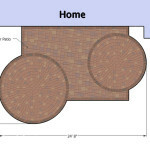 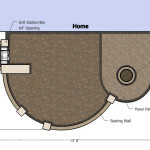 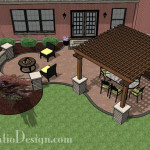 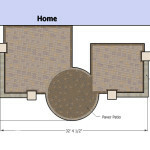 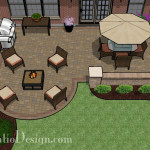 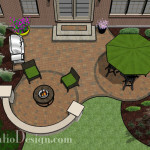 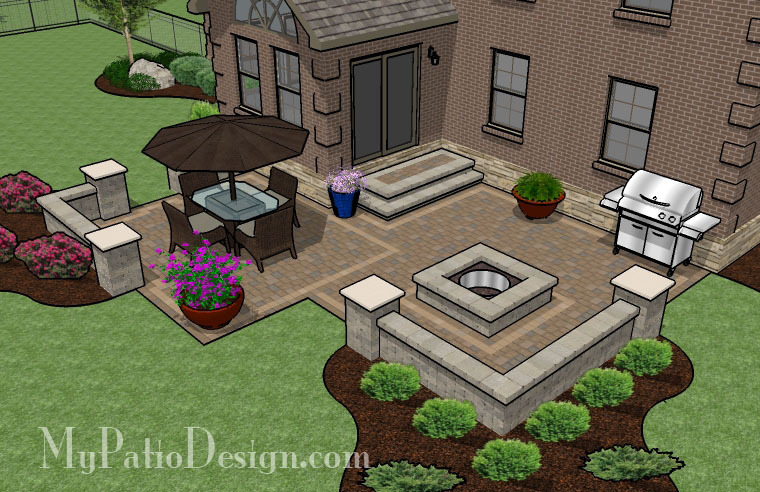 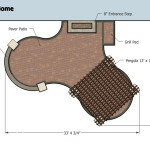 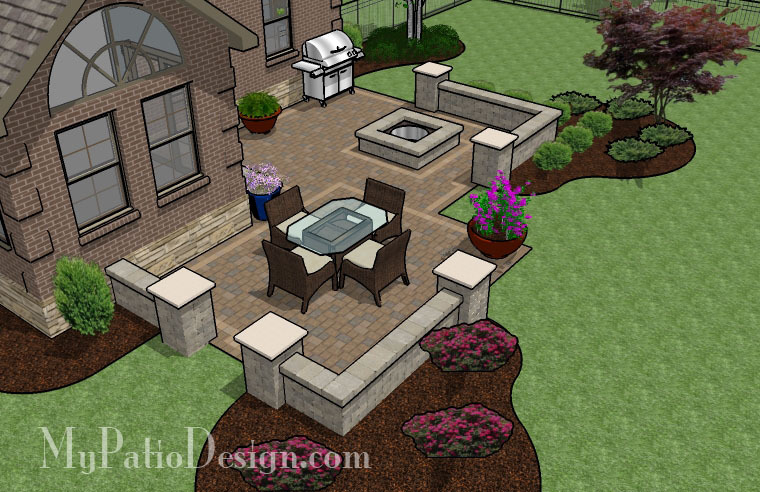 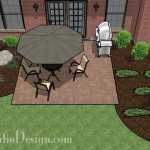 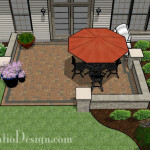 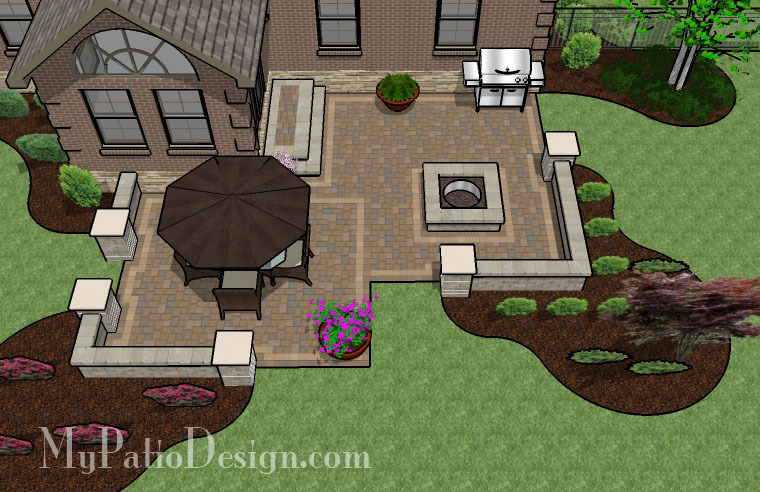 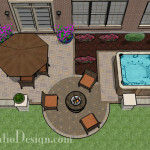 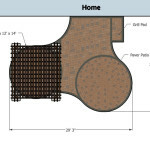 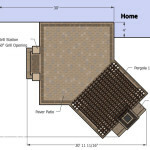 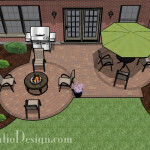 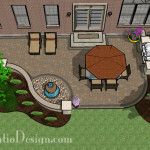 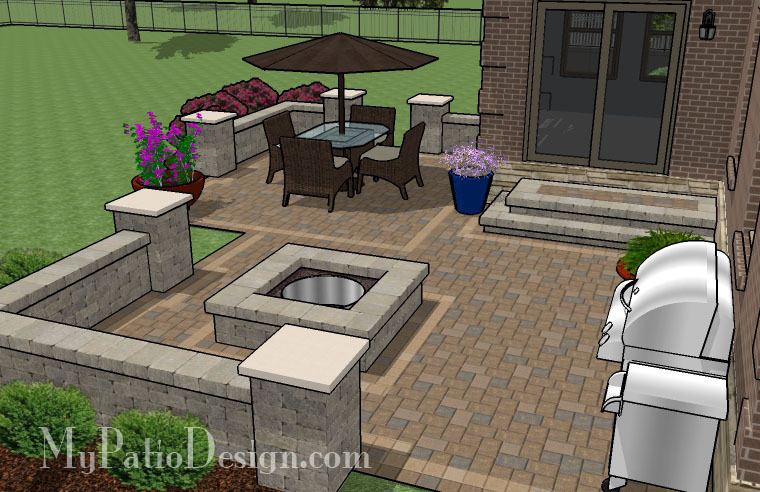 The patio is large enough to include a fire pit, large dining table and a grill.